Ground zero: Traders in the crude oil futures pit of the New York Mercantile Exchange on Wednesday. New Delhi: As oil approaches the $100-a-barrel (Rs3,930) milestone, M.S. Srinivasan, India’s petroleum secretary, has an unorthodox recommendation for cooling overheated prices: Halt trading of crude oil on commodity exchanges. There are “no supply constraints right now, and demand has not escalated out of control," Srinivasan said in a recent interview in his New Delhi office. Rather, trading on exchanges like the New York Mercantile Exchange, or Nymex, is contributing “enormously" to high prices, he said. If crude was eliminated from the commodities traded on Nymex, Srinivasan predicted, the world would “see a drastic reduction in the price". The benchmark price of crude touched $98.10 on Nymex on Wednesday, a new record, before retreating to $96.37. Srinivasan’s idea is based on a widely held belief that investors are artificially driving up oil prices. Hedge funds, banks and pension funds have poured capital into oil trading in recent years, betting that demand will increase. Analysts say these bets have become self-fulfilling prophecies, helping to push prices higher. What analysts cannot agree on is how much of the increase is attributable to the investors—estimates vary from $10 a barrel to over $30 a barrel—and what, if anything, should be done about it. But voices as varied as those of Mohammad Alipour-Jeddi, the head of market analysis for Organization of the Petroleum Exporting Countries (Opec), and William F. Galvin, the secretary of state in Massachusetts, have blamed speculators for rising prices. “There is enough crude in the markets," Alipour-Jeddi said on Monday. Bottlenecks in refining and “speculative activities" are forcing prices higher, he had said. Galvin, meanwhile, is asking the Securities and Exchange Commission to investigate what role investors have played in higher prices. A subcommittee of the US House headed by Bart Stupak, a Democrat from Michigan, is investigating commodities trading, and one Bill before Congress proposes giving Nymex’s regulator, the Commodity Futures Trading Commission, more oversight over Nymex’s rival, the Intercontinental Exchange. Analysts say the market has gone from a small group of oil users and producers to a full-fledged investment arena in recent years, like stocks or bonds. Prices can move according to intangible factors like fear, just as they do in the equity markets, the analysts say. Investing in oil has also become a hedge against a weak dollar. “Looking at oil supply and demand doesn’t help me to understand oil prices" any longer, said Roger Diwan, a partner with PFC Energy, a consulting company in Washington, DC. “I need to look at the dollar, at inflation and at credit squeezes." India is understandably concerned about high prices. The country imports 70% of its crude oil and has few strategic reserves and a deeply divided political landscape. Buying stakes in overseas oil properties is proving much cheaper for India than purchasing crude on the open market. In some areas where India has purchased stakes in oil fields, it is pulling light crude oil—the kind that sets the benchmark oil price—out of the ground for less than $40 a barrel, Srinivasan said. But Nymex executives dismiss Srinivasan’s suggestion of halting oil trading. 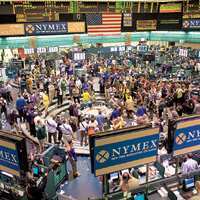 “Nymex is just a central point where buyers and sellers can come to exchange their wares," Richard Schaeffer, the chairman of Nymex, said. “We don’t make the prices. We make the prices known." Without Nymex, Schaeffer said, users could “only imagine a group of countries getting together and saying ‘What do we charge today?’"
Despite the risks of ever-rising oil prices, analysts say that Srinivasan’s idea is unlikely to be adopted; the oil market has become too big and too powerful. “There is no way to put the genie back into the bottle," Diwan said.